Stockport’s alternative quartet Dutch Uncles are set to release their fifth studio album, Big Balloon, this Friday and embark on a nationwide tour later this month, eight years after their first release, the eponymous Dutch Uncles. Before they kick off their upcoming tour, The Edge spoke to them about their work rate, more aggressive sound and signature dance moves. There’s various different meanings to the phrase Dutch Uncles. How did you come up with the band’s name all those years ago? It was the name of a band I was in before the four of us had even met. We only did one gig at a school talent show, so when it came to us picking a new name for ourselves (we’d been called the Headlines throughout college, which was possibly the most depressing name a band can give itself. It doesn’t evoke anything) and we still had no ideas after 6 months, we used that as a default because we liked the word sound. We added an s for that gang mentality, and for a while we sort of played up to the meaning of the phrase (someone who gives criticism to admonish and educate) in our writing. Our first album is very dark because of it, but that’s also because we were addicted to The Smiths’ first album and Interpol’s first two at the time as well. Big Balloon is your fifth album in eight years, something rarely seen by artists nowadays in such a short time span. How do you do it? We just get on with it. When you’ve done it once you know you can do it again. We’re lucky in the fact that we can visualise how a song will sound pretty much on day one of hearing an idea because Robin brings his ideas to us pretty much fully formed. It restricts our writing process in many ways, but it also means we know what we’re dealing with and so we don’t get swamped by half-finished ideas, which is the ultimate block in ever getting any album finished I think. We also have a very self-sufficient setup, so we don’t need mega bucks to get going on these things, plus we actually wanted to write an album this time. Never underestimate the drive that comes from feeling like you’re out of fashion. With previous album O Shudder, you have previously said that you felt that, with some of the songs, you lacked control or an inspiration when starting the writing process. Was this any different with Big Balloon? It certainly was. As I just mentioned, we felt very much out of fashion with the musical tide, certainly locally. Looking back, O Shudder felt like we’d messed up and got ahead of ourselves. We stupidly set our sights on our ‘contemporaries’ who were never that to begin with. I admire our determination throughout that time, but we really should’ve had someone point out that we were making an album for no other reason than to better ourselves financially and that is never a reason to make an album. It should be a byproduct of making a good album! Big Balloon was seen as a chance for a do-over in many ways, so we were relieved to have another stab at making an album. You don’t often/ever get second chances in this game. Did you have a certain direction that you wanted to follow with this latest album? We just wanted to bring the narrative of our work back to a place where we were sure of it again. Next time we’ll have to do something completely new and backwards to everything we’ve ever known. Despite having that distinctive Dutch Uncles sound, Big Balloon shows a bit of a shift compared to some of your earlier releases by using dominating electric guitars at the forefront. Was this a conscious decision? How do you think your sound has evolved over time? I think we saw a challenge when our ex-guitarist Sped left the band a couple years back. We said to ourselves “right, a guitarist has left, so let’s make the most guitar driven record we can.” I’m not sure the sound has evolved too much as I see our five albums as having something of a symmetry. This new album is a lot like our first album than any others. ‘Out Of Touch…’ in the middle is our sweet spot with experimentation and all that lovely bloody marimba action, so there’s certainly an arc there. But like I said, I think number six would have to be something completely and utterly new that leaves behind everything else. The genre and style of your music is hard to pin down, particularly with songs such as ‘Combo Box,’ ‘Same Plane Dream,’ and ‘Overton’ in particular from Big Balloon mixing up different styles. To someone that had never heard a Dutch Uncles song before, how would you define yourself? I would simply say that after five albums we almost sound like our name suggests. The release of Big Balloon coincides with a nationwide tour. How have preparations been going? Are you looking forward to getting back on the road? They’ve been a bit hectic to be honest. Billy Ocean keeps taking our session keyboard player away from us (true story!). But more than that, assembling a setlist has become harder than ever before. I don’t want to think about it to be honest. Finally, can we expect to see any more of Duncan’s signature dance moves? If I can find the right trousers for the tour in time. 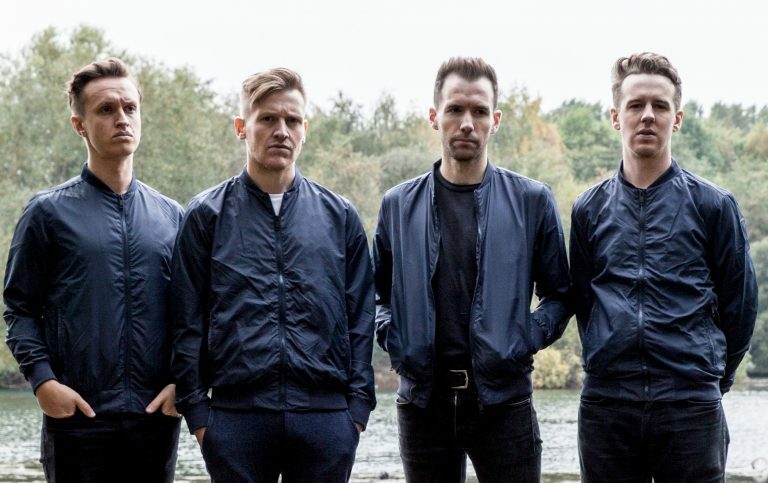 Dutch Uncles embark on their nationwide tour on 18th February; their fifth studio album Big Balloon is out on 17th February via Memphis Industries. SUSUtv Station Manager 2016/17 and News Exec 2015/16. Gamer. Alternative Music Lover.